On April 4th, activists in over 300 cities hit the streets to demand that the full Mueller report is released. 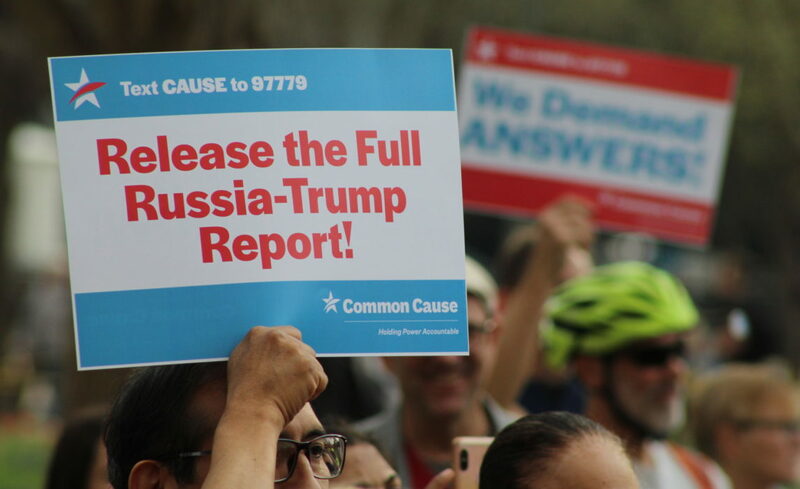 On April 4, tens of thousands of activists in 326 cities across the country sent a loud and clear message: release the full 400-page report by Special Council Robert Mueller on Russian interference in the 2016 elections. We have a right to know everything that Special Counsel Robert Mueller’s investigation uncovered about Russian attacks on our democracy in that nation’s wide-ranging effort to aid Donald Trump in 2016. Americans deserve know the full truth and we took to the streets to demand it. Common Cause, a key partner in the Trump is Not Above the Law coalition, had staff and activists at hundreds of events. View some of the images from these events — and below, a segment on the events from Rachel Maddow’s MSNBC program.